Marketers have seriously started directing their attention to live streaming—and for good reason. 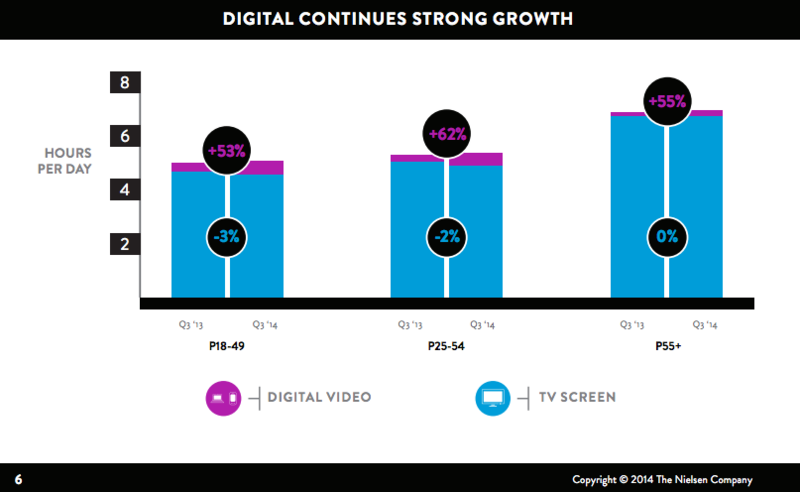 According to Nielsen, in 2014, time spent consuming digital video increased by more than 50% in all age groups. Simultaneously, Nielsen saw either no change or a decrease in time spent in front of the television. Earlier this year, Meerkat and Periscope were welcomed into the live-streaming social space with an array of media attention, while Blab was quietly and quickly shaking things up. Founded in spring 2015 by the team responsible for the relaunch of Bebo—a visual social messaging platform scheduled for re-release in early 2016—Blab has been proving itself as a valuable tool for brands interested in entering the live-streaming space. Blab is a live-streaming app focused on facilitating group discussions. A combination of up to four hosts can be featured in Blab’s live-video chat forum, organized in “Brady Brunch” fashion, with an unlimited amount of viewers tuning in. During the broadcast, viewers are able to connect with hosts through chat and can be invited into the video broadcast as a guest if space permits. Blab allows companies the opportunity to have direct, face-to-face conversations with their audiences. The platform’s unique format can bring together multiple company stakeholders, organizational leaders and brand ambassadors for live, in-depth discussions. For enterprise and legacy brands in particular, this level of transparency and real-time interaction can help strengthen brand loyalty. Engagement is also high. In fact, according to Blab’s CEO, the average time spent on the platform is 64 minutes, putting it in direct competition with TV, Netflix and other mainstream broadcast services. Heavy use presents an opportunity for enterprise brands to invest early, build trust and attract new leads within a growing, active and engaged audience. A brand’s business objectives and social voice should always influence how to approach Blab. Still, there are a few best practices to keep in mind. First and foremost, you want to drive value by establishing a clear topic for your series. Give your Blab series a concise name that clearly communicates your focus. Reinforce your topic with a related, custom hashtag. Promote your Blab hashtag on the channels that make sense, especially Twitter, which directly integrates with Blab. Your angle should connect to your brand’s offerings, align with the interests of your audiences and strike the right balance between being seen as an expert and not being too exclusive. For instance, a hotel chain with a sustainability focus might launch a show entitled “Green Travel” (#GreenTravel) to discuss all things related to eco-friendly vacations. 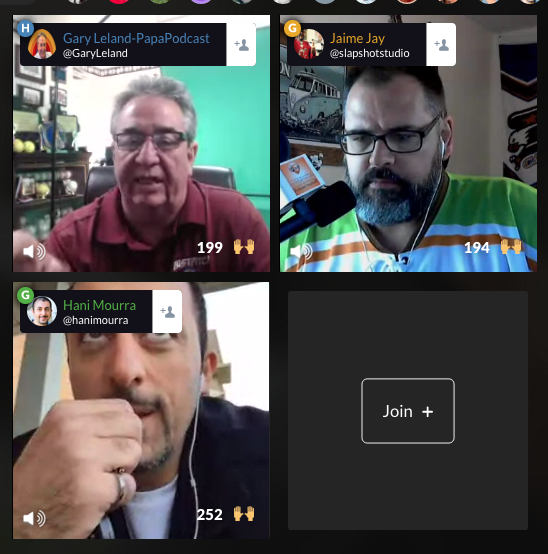 Leave at least one of Blab’s four host spots open so that you can cycle in guests or viewers of your show. This open space lets you to take advantage of what makes Blab unique while helping round out your brand’s expertise. One of the hosts should be an employee of your organization, to support your advocacy efforts, while the other host might be an industry partner, social influencer or media personality. Consider who makes the most sense for your brand. But also invite interested individuals to do a test run. It might surprise you who comes to life the most when the camera is rolling—and who suddenly becomes shy. Also, avoid solo broadcasts, which can easily turn into a monologue. Before a live broadcast, you want to make sure your hosts are camera ready. If you choose the right personalities, this will be much easier, but anyone can benefit from media training, and everyone should at least be apprised of your key brand messages. That said, live streaming is at its best when it seems natural, so don’t let these brand guidelines overwhelm your talent. Simply empower your people to have a productive conversation. You want to seriously consider the structure of each show. Interviews are the default for most Blabs, which is why your team should consider some others ways of packaging your content to help stand out from the crowd. Finally, set a schedule, and stick to it. Consistency is key when it comes to branding. In a Blab series, it establishes an ongoing cadence with your audience so that people know when to tune in and what to expect in terms of topics that might be covered. When deciding how often to live stream your Blab series, determine what capabilities your team has to execute and maintain a daily, weekly or biweekly show. We recommend the frequency being no less than every other week to ensure you are consistently reaching your audience; otherwise, it will be easy for viewers to forget about your program. Now that you’re familiar with Blab and the platform’s best practices, it’s time for your brand to start engaging with its audience through live-stream video. In November, Sprout Social took the plunge and hosted its first Blab in coordination with a #SproutChat dedicated to navigating the platform. You can follow Sprout on Blab here. Meanwhile, as your brand begins to incorporate Blab into its social strategy, share what best practices you discover in the comments below. This post Why Your Brand Should Invest in Blab originally appeared on Sprout Social.